Kaydion Drogba Gabriel relished the opportunity of an attacking role on Sunday when he reminded the Central FC - The Sharks coaching staff of his offensive prowess by netting a first half brace as the Couva Sharks rebounded from an early deficit to defeat Morvant Caledonia United 3-1 at the Ato Boldon Stadium. 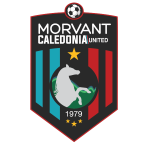 Central looked on course for a fourth consecutive Pro League loss after Renaldo Francois fired Morvant Caledonia United in front 1-0 after just four minutes with his second Pro League goal of the 2018 season. Gabriel however responded with a double before the break for the 2018 First Citizens Cup champions, coincidentally against Morvant Caledonia (the same team he last scored against all the way back in October of 2017 in a 3-2 league win), before Duane Muckette completed Sunday’s rout with a superbly executed free kick in the second half. On Saturday, former Central forward Kerry Baptiste notched his first goal of the season and first in a Terminix St. Ann’s Rangers shirt to lift his new employers to a second consecutive win with a 1-0 result over his ex-club, North East Stars. 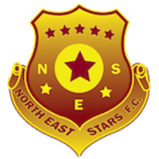 The evergreen forward also ended his personal scoring drought that, like Gabriel, stretched back to October 2017 when he too scored in a 3-2 league win over Morvant Caledonia but for eventual champions North East Stars. The 36-year-old Baptiste missed a penalty early in the first half against North East Stars but redeemed himself with a close up finish under the sun at the Larry Gomes Stadium three minutes from time as the league holders continue to struggle with just one point from four games. 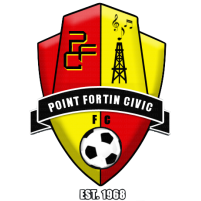 Police FC, later on Saturday, celebrated their first league win of the campaign, snapping a four-game losing streak in all competitions with a 3-1 win over hosts Point Fortin Civic at Mahaica Oval. Kareem Freitas (9th & 68th) struck a double, separated by a Nathaniel Garcia (31st) strike for Civic and the break, for Police before promising winger Christian Thomas (82nd) sealed the Lawmen’s victory with his first career league goal. 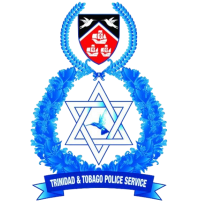 The win lifted Police (3 points) off the bottom and now ahead of, in descending order, Civic (2 points), Morvant Caledonia (1 point) and North East Stars (1 point). 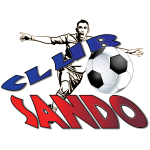 Central, thanks to Gabriel’s performance, joined Defence Force FC and Club Sando on seven points, one ahead of Rangers, while W Connection (15 points) and San Juan Jabloteh (13 points) lead the pack. Gabriel first levelled the Couva Sharks 1-1 in the 23rd minute when he raced in at the back post to smash a low Akim Armstrong cross past Morvant Caledonia goalkeeper Terrence Lewis. Gabriel, who started his professional career as a forward but used at right full-back over the past few seasons, once again rewarded caretaker coach Walt Noreiga for utilising him in the role of right winger by unleashing a shot past Lewis five minutes from the half to put Central in front 2-1 after he was picked out by defender Rhondel Gibson. 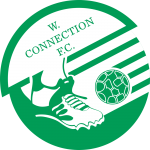 Muckette, who was instrumental in Central’s opening goal, put the match out of the Eastern Stallions’ reach by the 73rd minute from a 25-yard set piece. Central returns to action on Wednesday against Civic in the first game of a double-header at Hasely Crawford Stadium before Morvant Caledonia and Connection clash from 8pm. 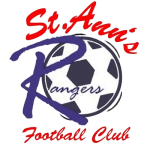 League action however resumes on Tuesday with Rangers hosting Police from 4pm at the Larry Gomes Stadium from 4pm. 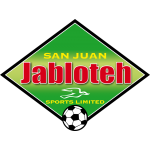 Also on Tuesday, the Ato Boldon Stadium will host a double-header with Sando taking on North East Stars from 6pm and Jabloteh and Defence Force clashing from 8pm. Central FC 3 (Kaydion Gabriel 23’, 40’, Duane Muckette 73’) vs Morvant Caledonia United 1 (Renaldo Francois 4’), at Ato Boldon Stadium. 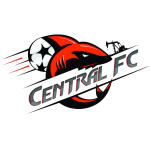 Central FC: 1.Marvin Phillip (GK); 3.Ewan Grandison, 7.Hakim Baird (5.Dwight Pope 70th minute), 8.Akim Armstrong, 12.Taryk Sampson, 13.Rhondel Gibson, 15.Kaydion Gabriel (9.Jamal Gay 83rd minute), 19.Jared London, 22.Jameel Neptune, 24.Duane Muckette (Capt. 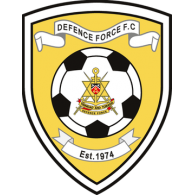 ), 29.Russell Alfred (18.Densill Theobald 60th minute). Unused substitutes: 17.Obadele Dickson, 27.Anthony Charles. Unused substitutes: 30.Dejourn Charles (GK); 25.Joshua Martin, 28.Jomokie Cassimy.